Some authoritative people in the audio field flatter us by claiming that DAADs are the best device ever made for home environment acoustics. Why? 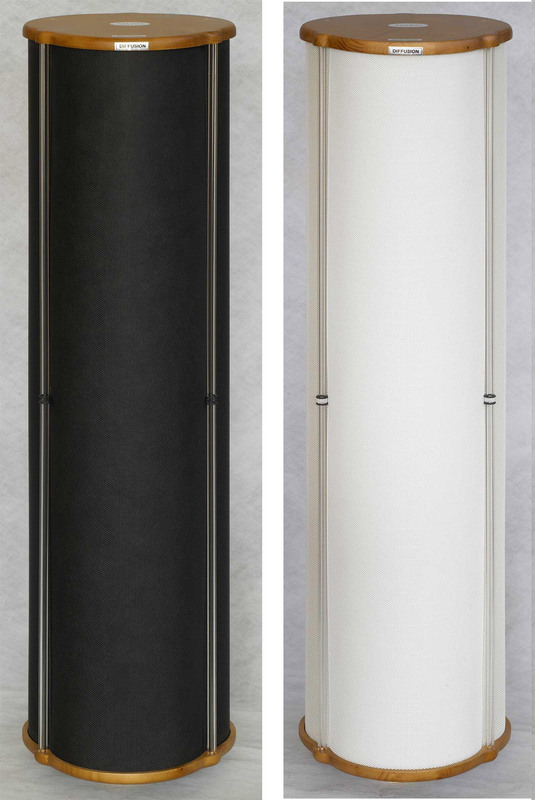 To keep up with the high-end sound evolution, we have created a "fast" acoustic trap able to deal with the resonant frequencies, without affecting the non-resonant ones. The micro-pressed metal sheet with its view surface and the combination of materials for the resistive layer create a correct friction to the air going through them. This way, the functioning of the whole acoustic device is not slow regarding the timing of the music transients following one another. Its internal volume being equal to a cylinder, a lobe-shaped device "penetrates" the corner more deeply, thus capturing the resonant frequencies more easily. This shape makes it easier to use different materials at the same time for the resistive layer of the device. 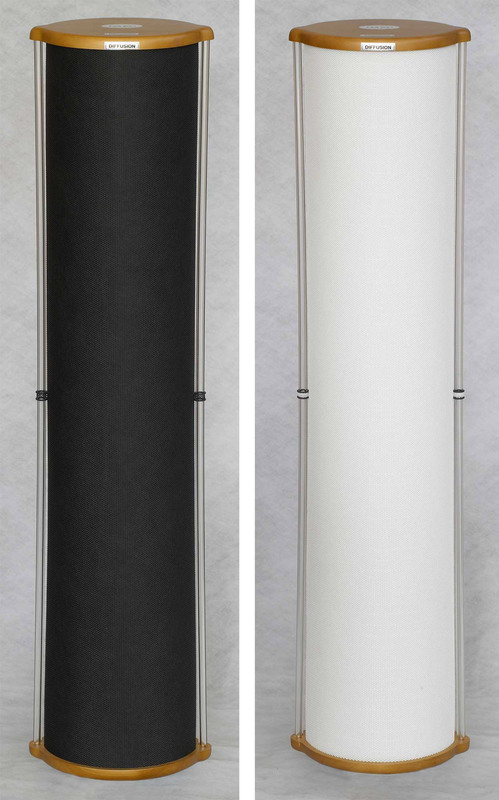 Like the cylinder, unlike a level panel, a lobe-shaped device allows us to have an internal volume of air and a thickness able to create "acoustic shade" . In other words: very good ratio between room employed and outcome. Like the cylinder, unlike a level panel, a lobe-shaped device can be rotated on itself. Since one of the lobes features a more powerful diffusion effect, this can be used for adjusting the room acoustics according to one's needs or taste. Acustica Applicata reserves the right to modify the features of the products in this catalogue without prior notice. The most interesting acoustic action of DAADs is the way they "stir" energy: a sound wave hitting a DAAD is dealt with so that not only does it get out delayed and balanced, but even homogeneously diffused all around. With DAADs, every sound parameter gets better: the reproduction of the voice, which is open, sharp and clear; the sense of “airiness”, freedom, opening of sound-stage; the degree of cleaning of the acoustic slime at low frequencies and in the warmth region (100-300 Hz); dynamics. 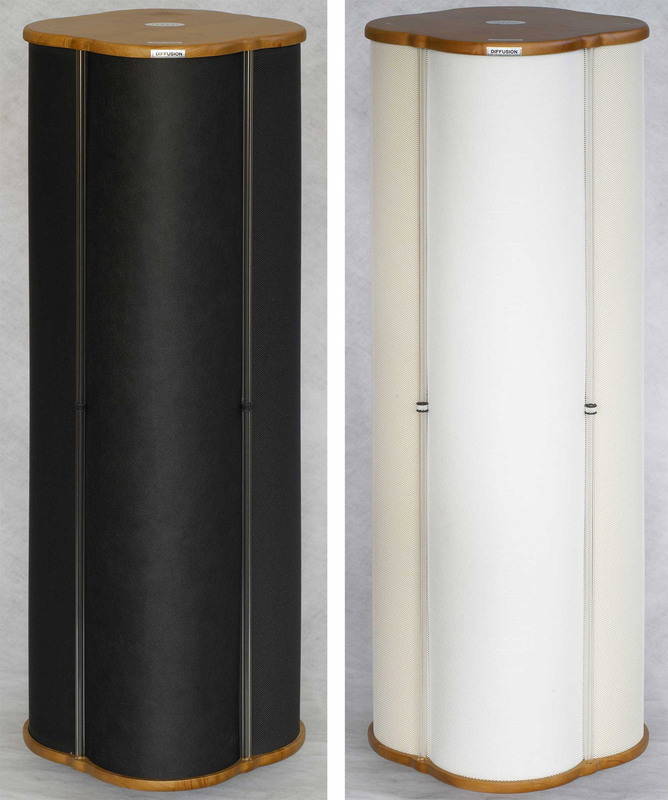 It’s the combination of these three things (shape, metal sheet, quality and thickness of the resistive material) that enables DAADs to behave both as a fast acoustic trap for the resonant low frequencies and as a diffusing-diffracting device able to transform the energy of early reflections into more delayed reflections, thus enriching the sound with precious diffused sound energy. DAADs are the first acoustic device capable of “changing” the dimensions of a home listening room, transforming it into a bigger one, with characteristics suitable for audio reproduction. When DAADs are placed in the strategic points of the listening room, they open the soundstage up and, at the same time, give back to music its sense of presence and liveliness. 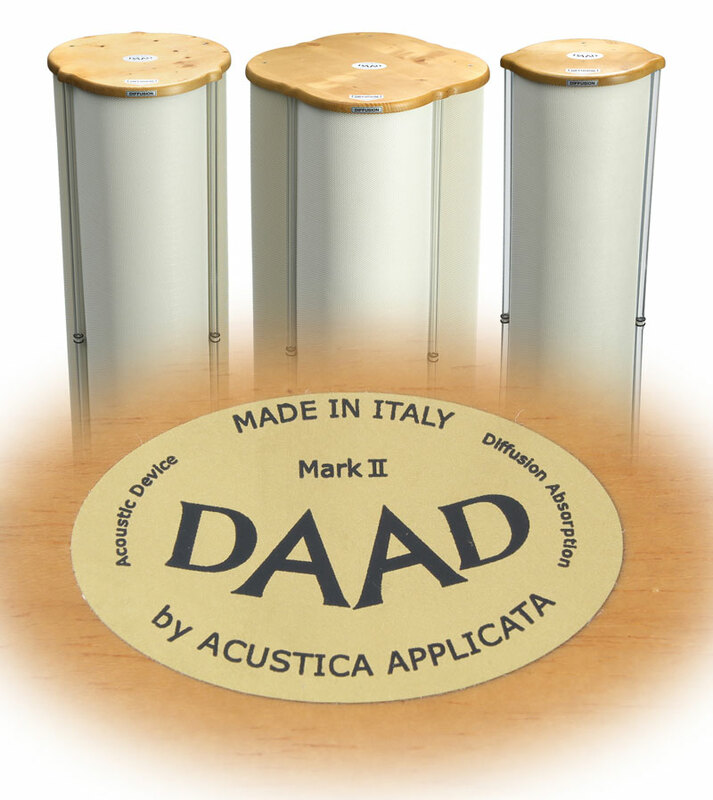 In order to deal with any acoustic problem of domestic environments, there are three kinds of DAADs: the most voluminous one (DAAD 4) works from 50 Hz.. The medium one (DAAD 3) from 80 Hz.. The small one (DAAD 2) from 120 Hz..